Does Las Vegas have a Zoo? Dolphins? Flamingos? Oh my! Does Las Vegas Have a Zoo? Heading to see animals with your family can be a fun way to pass the day and with children it can become even more of a special occasion, but if you’re not looking to travel far you’ll want a place that’s right in your neighborhood or right in the area that you’re planning to visit. You might not think that Las Vegas is a great place to do that or that you’ll find much for options, but there are actually a few different habitats to check out in Las Vegas and a lot of really cool animals you’re going to like seeing as well. If you’re into aquariums you’re definitely going to want to check this one out. You’ll see dolphins galore but you’re also going to have the experience of seeing white tigers, white lions and even leopards as well. 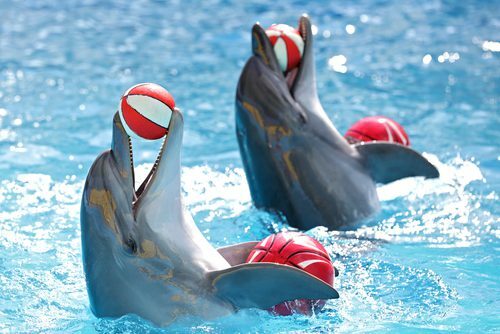 If you’re interested you can become a trainer for a day, practicing with dolphins yourself or even join in dolphin yoga and paining classes. There are plenty of cool ways to immerse yourself in the experience and since it’s located right on The Strip, this is one zoo that’s super easy to find. Here you’re going to be fully immersed in a whole lot of exotic and fun birds and waterfowl. Chilean flamingos, Ring Tealed ducks and Sacred Ibis are some of the more popular birds but yo’re definitely going to find a variety that you’re going to love. Even better, this habitat is entirely free of charge so guests and visitors can check out all the beautiful birds as many times as you want. Located right on The Strip, you’re not going to have a problem finding this zoo and having a great time there with your family. If you’re looking for something a little less exotic and a little more like the petting zoos you loved as a child you’re going to love The Farm. Here you’re going to find chickens, ducks, pigs, horses and cows, as well as other farm animals. You’re definitely going to be glad to have stopped in also because they have a thriving farmer’s market where you can pick up some fresh produce as well as eggs and honey while you’re out. It’s definitely better than what you’ll find in the store. No matter what you’re planning to do while you’re in Las Vegas and no matter if you live there all the time or are just visiting for a short while, you’re definitely going to find some great things to do and you’ll find animals you and your family are going to love to look at. There are plenty of Things to do in Las Vegas. From Things to do in Las Vegas for free, Things to do on date, and Things to do with Family, you’ll find it all here at Ballen Vegas, your Las Vegas Real Estate Agent team! You might Also Like the following list of homes for sale that were just listed in Las Vegas. Thinking of selling your Las Vegas Real Estate? Call us at 702-604-7739 to discuss the home selling process and your property value.